The Internet Corporation for Assigned Names and Numbers (ICANN) has responded negatively to Google's letter asking for a new domain convention, prohibiting the change, citing security risks. 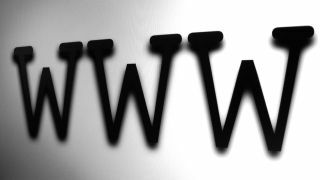 Mountain View had hoped to own and operate a dot-less 'http://search' domain, which would have taken users straight to their search provider of choice. With that request shot down, Google's hopes to offer faster access to common words will now rest on being granted permission to manage the new .search gTLD (generic top-level domain) name. Google has applied to ICANN to manage .search, .app, .blog and .cloud as part of the major expansion beyond traditional suffixes like .com, .org, etc. The regulator is yet to decided who will manage what in the controversial scheme, but for now Google's dream of dot-less domains is off the table. Microsoft, Nokia co. are none-too-pleased with Google's domain land-grab. Find out why.